Over and over, I fail. 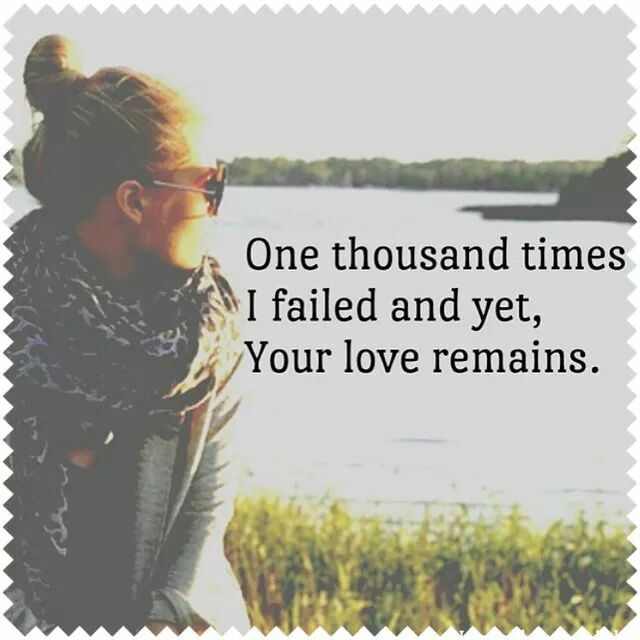 I am nowhere near perfect, inside or out, but I am no longer where I was when He found me. One thing has changed me for eternity: His love. And His love is a constant flowing moving living force. It isn’t passive. It is actively seeking out those wanting to be soaked in His Presence, changed by & for His glory. God never turns away those upon whom Jesus has bestowed His mark, for His love grants us an all access pass to His courts, a freely given gift to enter His Presence, this King over all, at any time. At any time, you & I have access to the Father. At any time, you & I have access to Jesus. At any time, you & I have access to Holy Spirit. Today, take the all access pass you’ve been gifted, and join me as together we use it. Enter His gates with thanksgiving in your heart. Sing a new psalm of praise as you remember all He has done for you. Bring the offering of your sin & past, to leave at the altar & exchange for peace & a future. Be filled with His living water, coated in the oil of gladness, received with living bread. The weather outside may be drab or dreary, your soul may be tattered or weary, the path ahead fearful or leery. Your all access pass brings you straight in to the Holy of Holies, into the arms of the One who calls you Beloved, and longs for you even more than you desire to draw close to Him! Don’t let your pass stay in your back pocket, only to be used in emergencies. You will never overuse it, ever. Any time, any place, for any reason, you have all access to God!